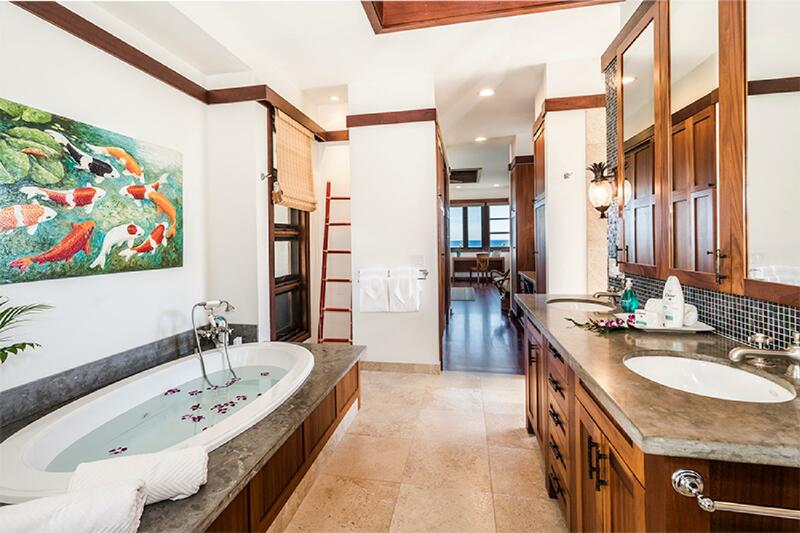 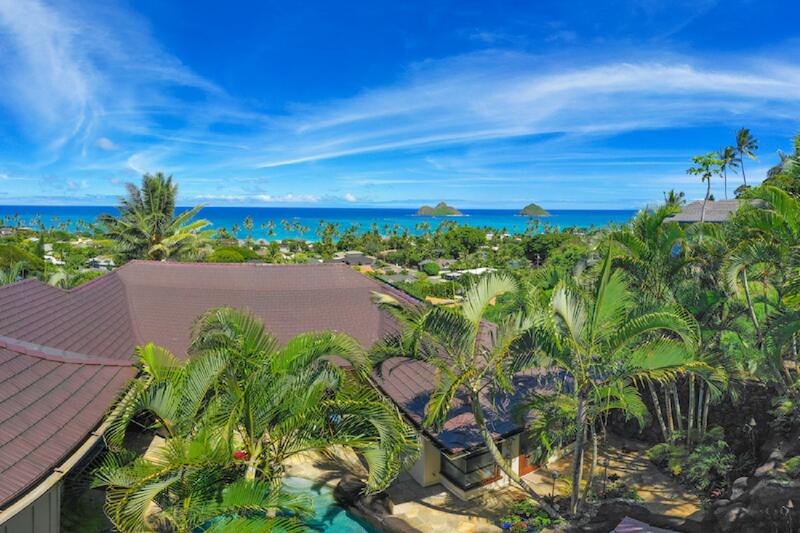 Boasting breathtaking panoramic ocean and Mokulua Islands views, gorgeous Lanikai Ocean View Villa awaits for your enjoyment and relaxation. 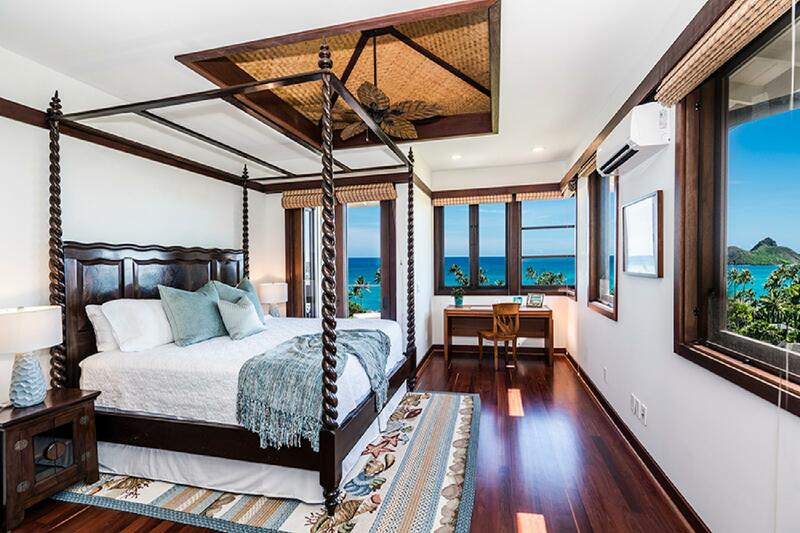 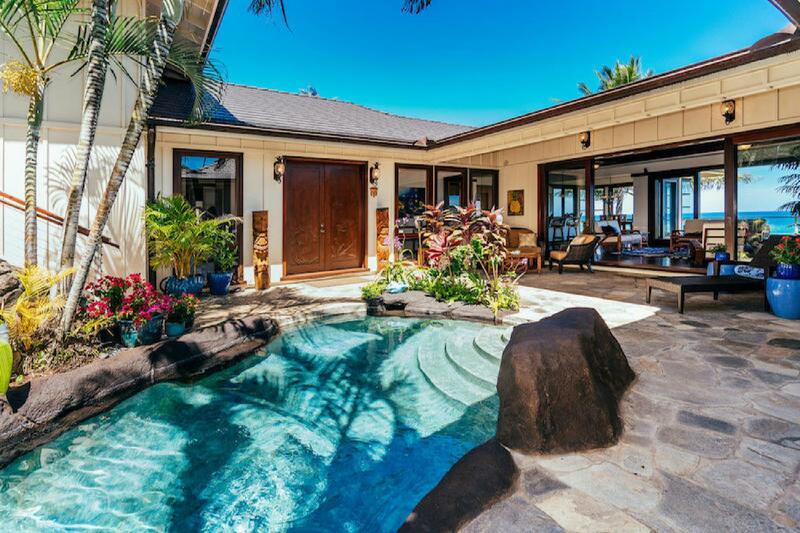 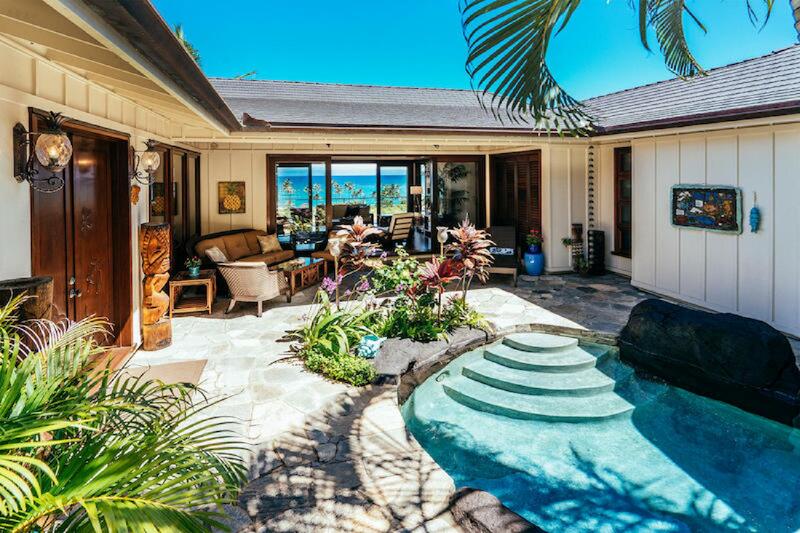 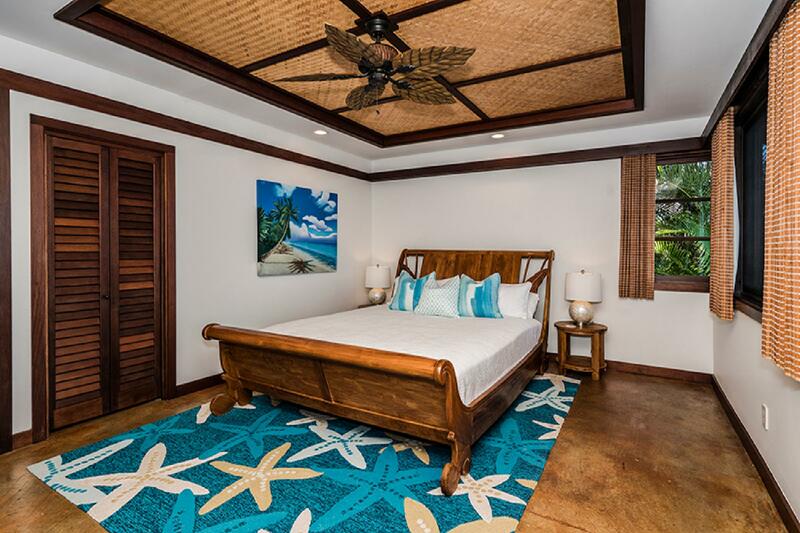 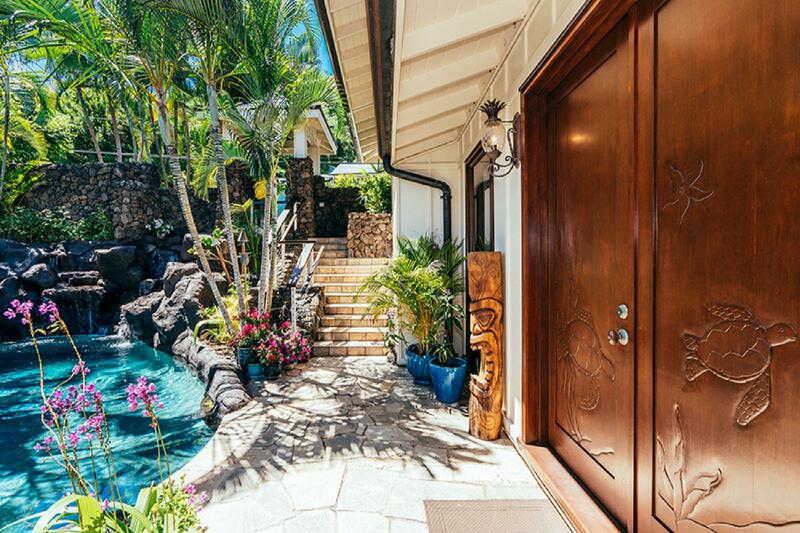 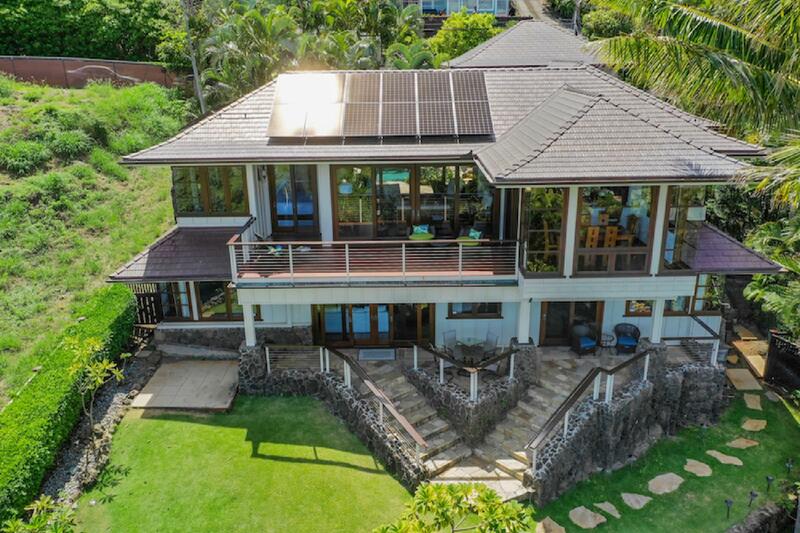 Complete with a private pool and central air conditioning, this four-bedroom residence comfortably accommodates eight guests for the ultimate Hawaiian getaway. 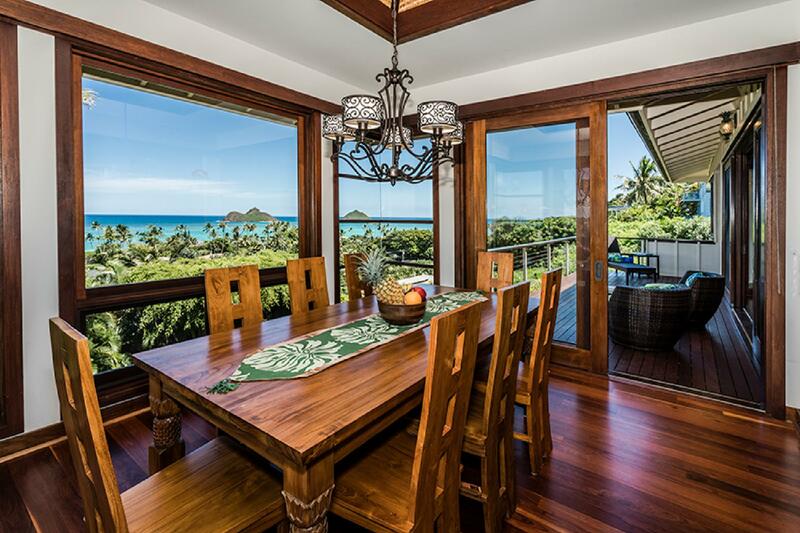 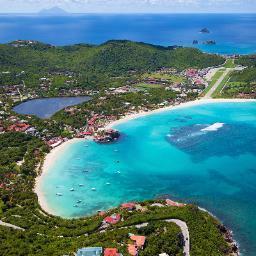 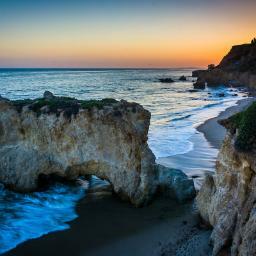 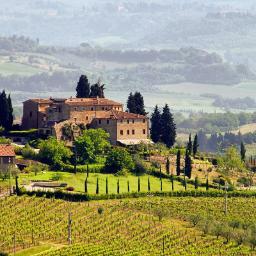 An ideal layout by famous Architect Peter Vincent provides the perfect place for a work retreat or family gathering. 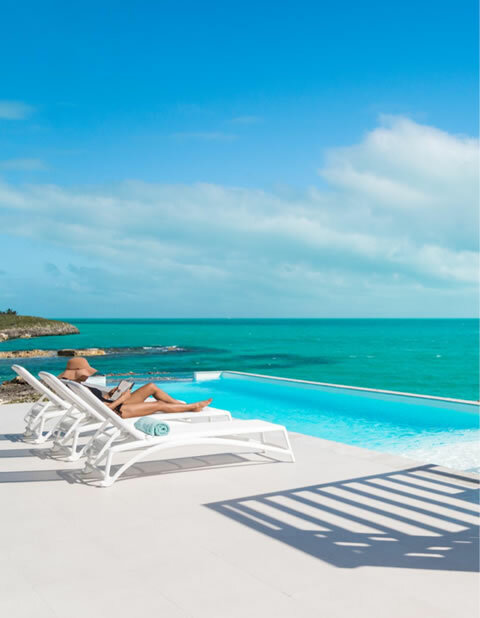 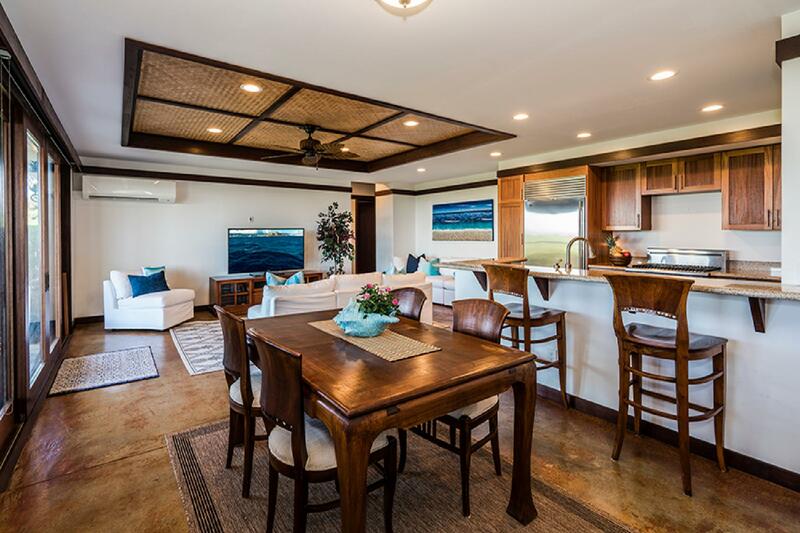 The open-concept floor plan of this magnificent home allows a seamless flow from the fully appointed gourmet kitchen stocked with all the essentials, to the formal dining space, to the airy, expansive living space with plenty of comfortable seating. 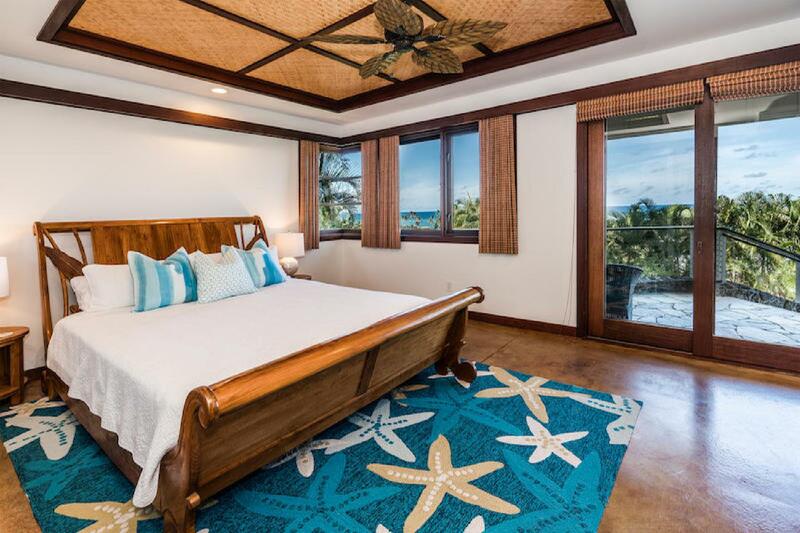 Wake to spectacular Lanikai Beach sunrises from the master and guest suites – and that’s just the beginning of a day in paradise! 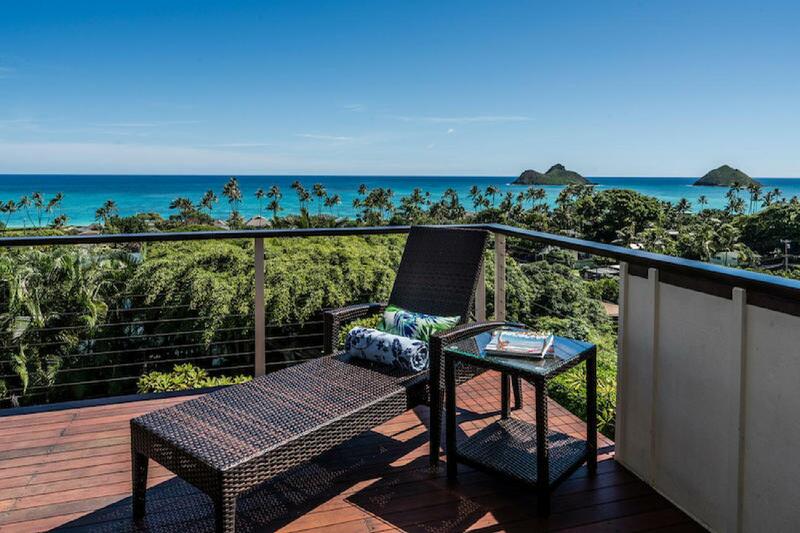 The grounds at Lanikai Ocean View Villa include a heated lagoon-style pool and waterfall, a wet bar, a gas barbecue grill, and a lanai overlooking Lanikai and the Mokulua Islands. 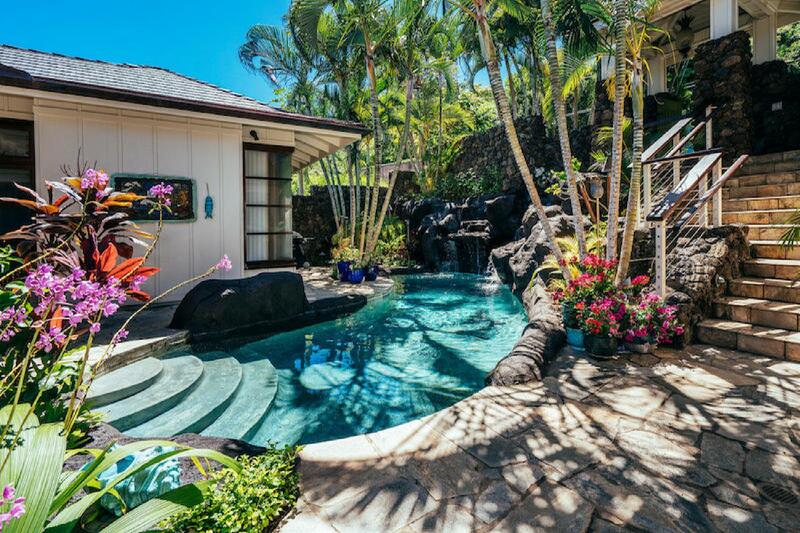 Surrounded by lush tropical landscaping, you’ll enjoy sipping your morning coffee in a sitting area on the expansive lanai, taking a refreshing afternoon dip in the pool, and lounging under the stars at night. 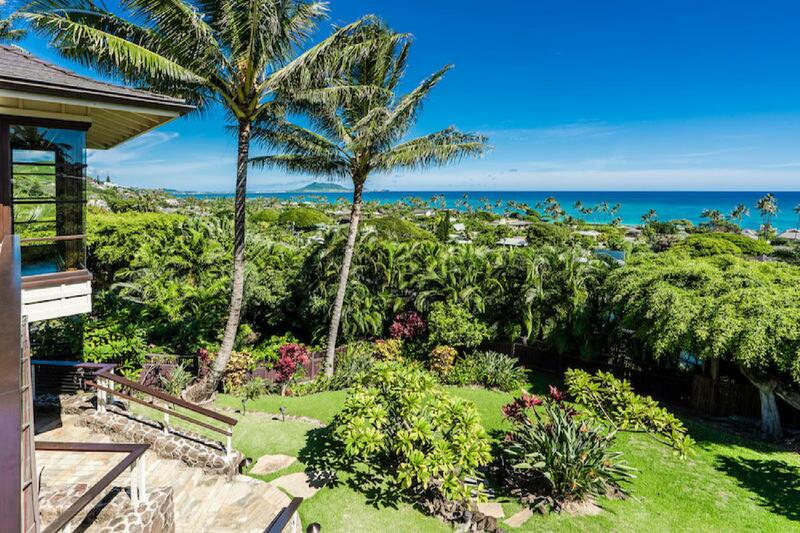 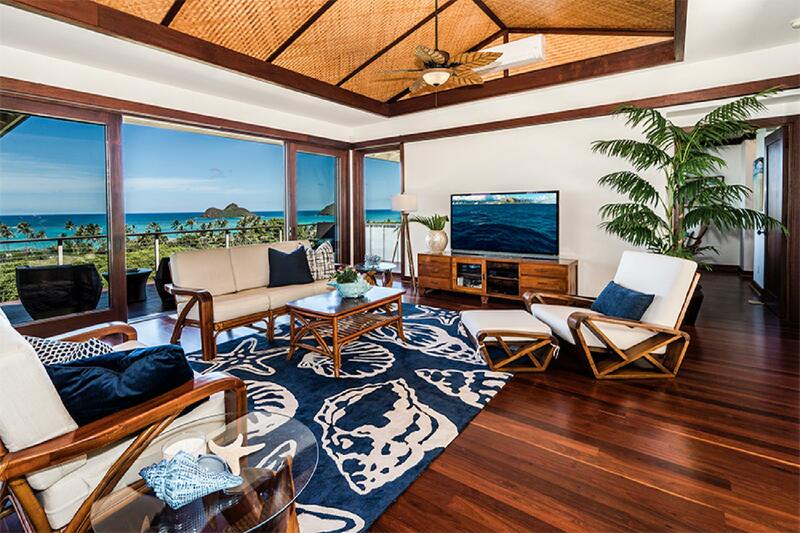 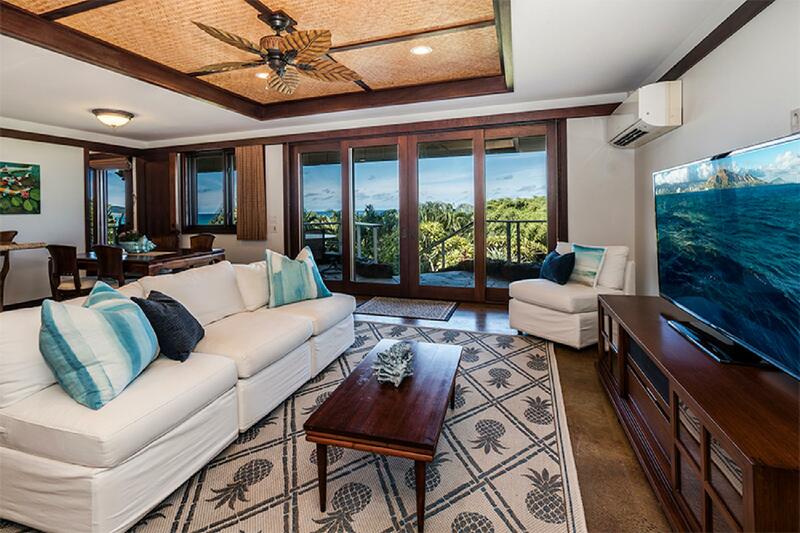 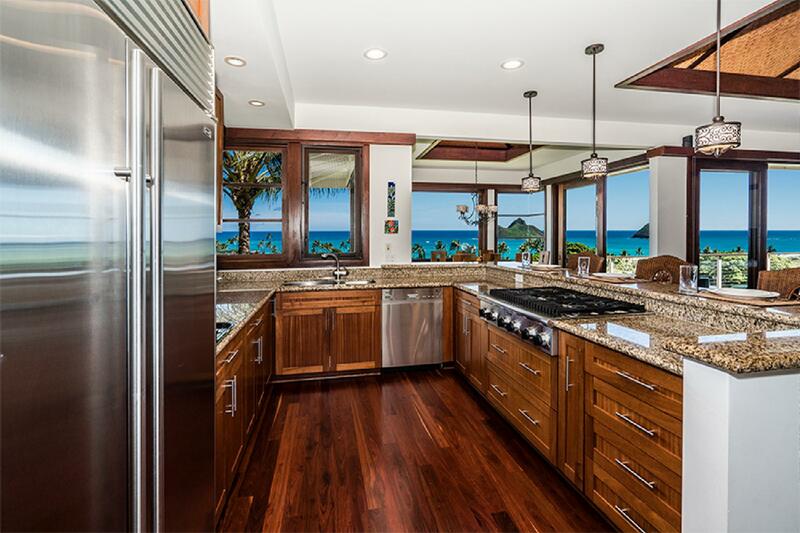 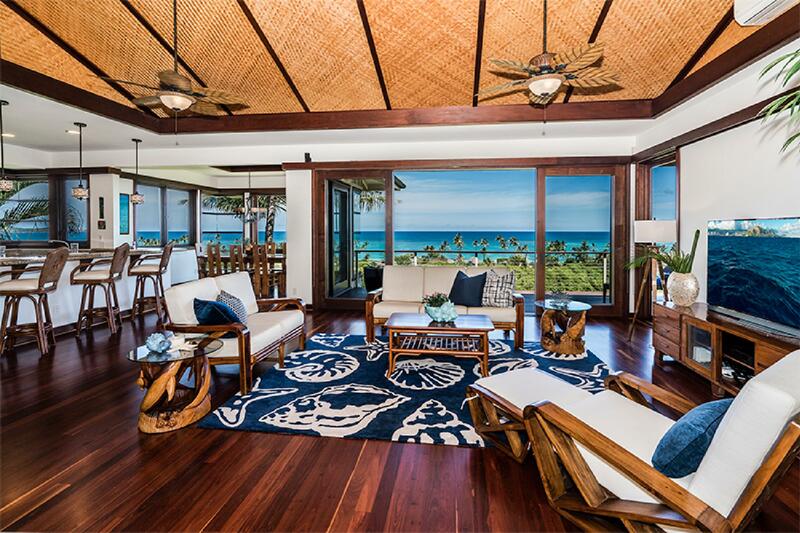 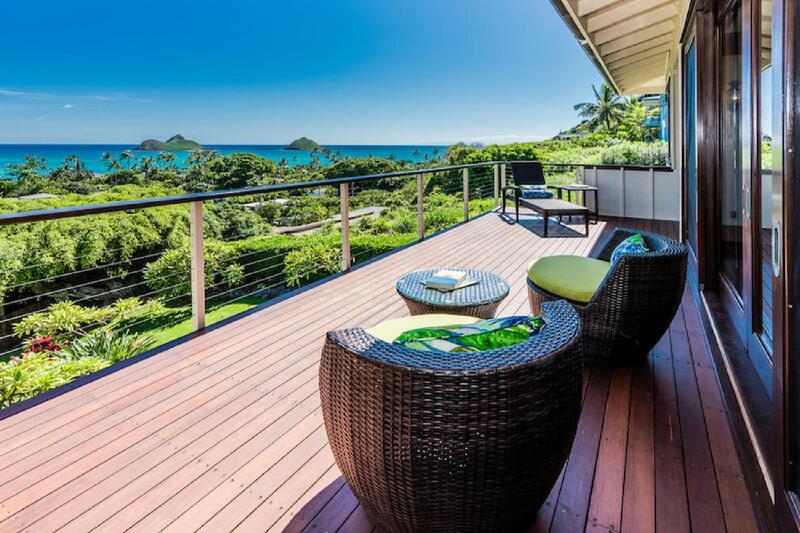 This Lanikai villa on the east side of Oahu offers convenient access not only to Lanikai Beach itself, but to other breathtaking stretches of sand such as Waimanalo and Kailua Beach. 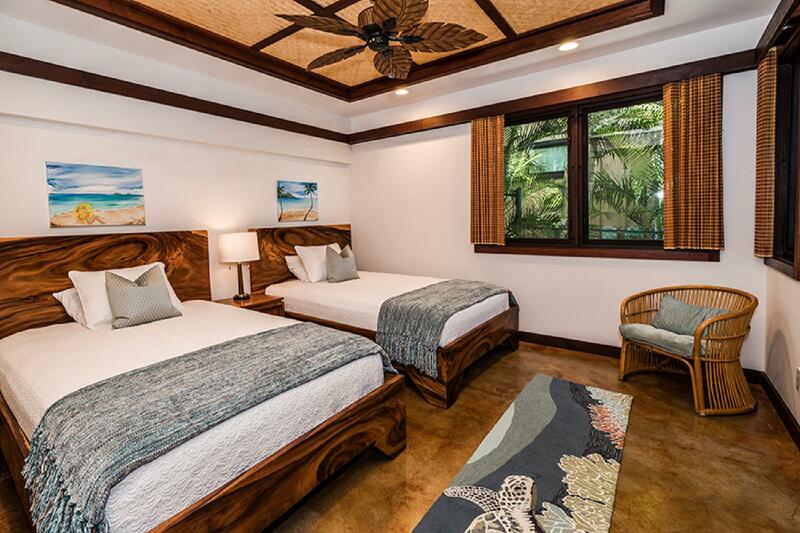 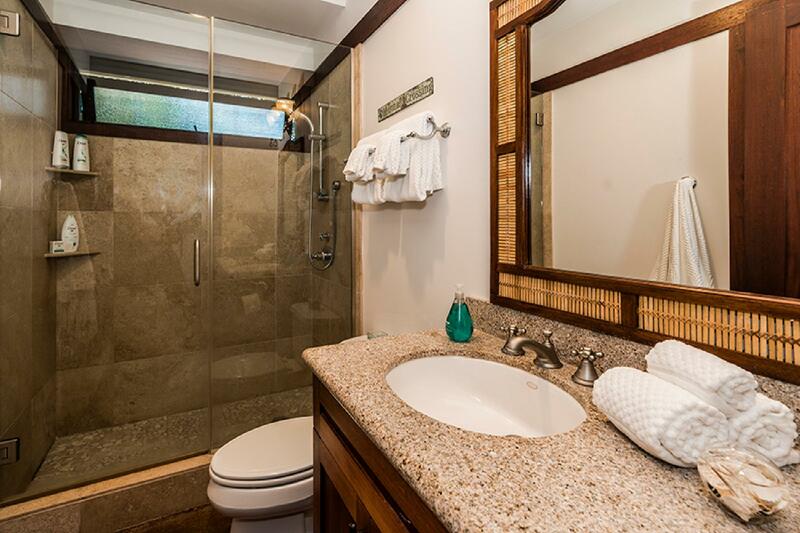 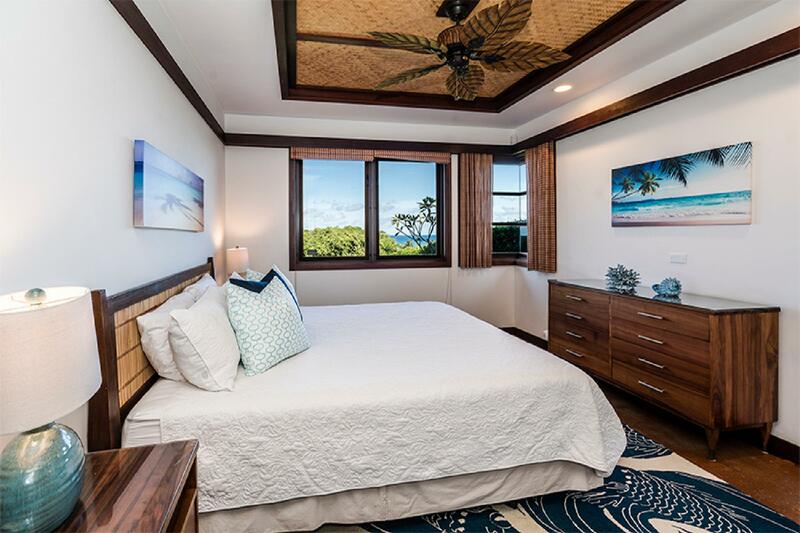 Guests of Lanikai Ocean View Villa will also find a variety of other attractions close by, such as exceptional snorkeling at Hanauma Bay and scenic hiking along the Makapuu Point Lighthouse Trail. 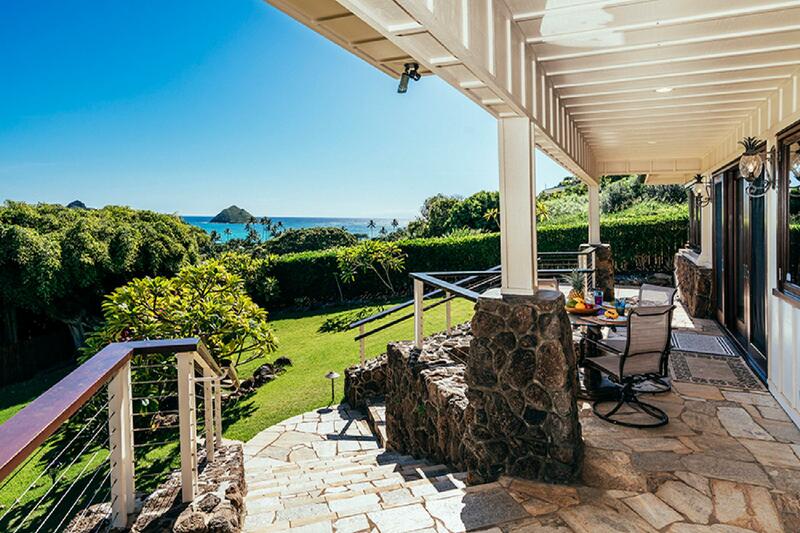 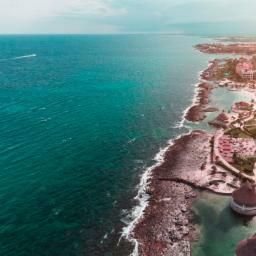 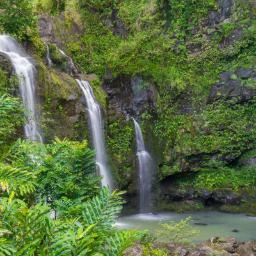 Honolulu is less than 35 minutes away, and the lovely nearby town of Kailua provides numerous dining and shopping options.